Estate tax is a tax on the value of a deceased person’s estate before it is distributed to his or her beneficiaries. However, there is a federal estate tax exemption amount in place where individuals can distribute their assets to their heirs, up to a certain amount, without having to pay a federal estate tax. The federal estate tax exemption amount is $5,430,000 in 2015 and $5,450,000 in 2016. – Special Needs planning involves drafting a trust, often called a “Special Needs Trust”, for an individual who has a mental or physical disability. A Special Needs Trust often enables a disabled individual to have an unlimited amount of property held in Trust without disqualifying his/her from governmental benefits. After the death of the disabled individual, the assets placed in such a trust can often be given to another family member, instead of going to a government agency. – A QTIP trust is a type of trust that allows the grantor to provide for the surviving spouse as well as preserve control over the assets and their distribution upon the death of the surviving spouse. These trusts are commonly used when the grantor has children from a previous marriage and he or she would like to provide for his or her spouse and children. – A charitable trust is a type of trust created to benefit a charity or multiple charities. There are different types of charitable trusts that, if established properly, will allow the grantor to receive tax benefits, such as an income tax deduction related to the charitable gift, while also creating income. Charitable trusts are available if an individual would like to leave significant sums of money to charity while also reducing the taxes paid on death. 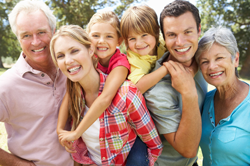 – Life insurance trusts are drafted to ensure that life insurance proceeds are distributed to the appropriate beneficiaries free of federal estate taxes. This is done by having the insurance policy owned by the life insurance trust. – A spendthrift trust is a type of trust that allows the grantor to control the beneficiary’s access to the trust principal. These trusts are commonly used when the grantor is worried that the beneficiary may not spend the trust assets wisely or that the beneficiary may have issues with creditors. Because the beneficiary cannot access the trust principal, neither can his or her creditors. The beneficiary receives the trust assets through the trustee of the trust and the spendthrift trust provides the terms in which the trustee will provide those assets. – Credit shelter trusts are drafted to help avoid estate taxes when assets are distributed to the beneficiaries. In this case, property in the deceased spouse’s credit shelter trust will be distributed estate-tax free but the surviving spouse will be able to use the income generated by that property, and sometimes even the principal, during his or her lifetime. – There are several different types of annuity trusts and they may be used for a variety of reasons. Usually when creating an annuity trust, the grantor transfers property and appreciating assets into the trust and the trustee manages the property and pays the grantor, or even beneficiaries, income or annual payments for a certain time period. – An Intentionally Defective Grantor Trust is typically used for income and estate tax purposes and is a type of trust in which income tax is imposed on the grantor to allow estate tax benefits. If drafted property, the trust is able to freeze certain assets and create a lower taxable estate for the grantor while gifting assets to the beneficiaries.